Roihu is a sans serif typeface published by Mika Melvas that contains 16 fonts, 8 weights plus their italics, over 1100 glyphs, a lot of Open Type Features. It is perfect for headline, logos, packaging etc. 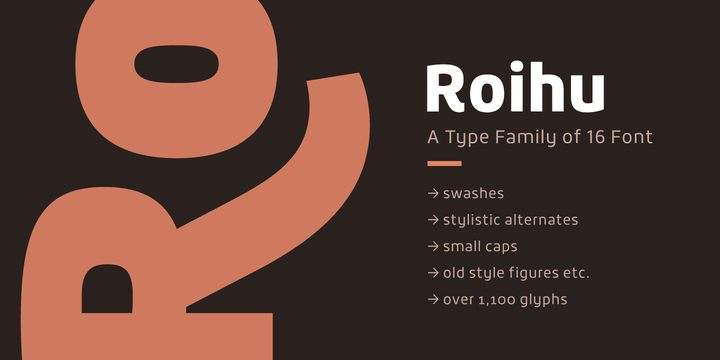 A font description published on Wednesday, January 15th, 2014 in Fonts, Mika Melvas by Alexandra that has 4,247 views.